It’s all about building community! 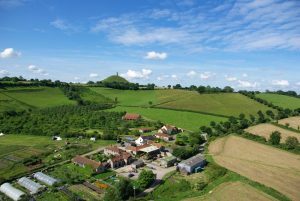 There are five, three-day, residential modules in the Year Training between October 2019 and July 2020, held at Paddington Farm, Glastonbury. The fifteen days of the training count towards CNVC certification. Ready to apply? Module One: Setting up systems for Purpose, Learning, Fun and Play! Module Two: Setting up a support system. Module Three: Setting up a Conflict Transformation system. Module Four: Setting up a decision-making system. Module Five: Setting up Access and Resource Allocation (economic) systems. More about the Year Training syllabus. The five modules give a sense of structure and progression. The format offers greater depth than one-off workshops. We become a community of people living NVC. The community offers mutual support. All modules are led by NVC certified trainers Shantigarbha and Gesine Schrader. 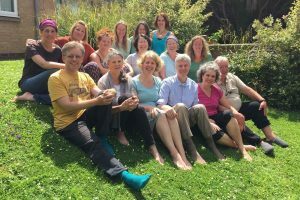 Between us we have decades of experience of supporting different communities, including the NVC networks in the UK and South Asia, the Triratna Buddhist Community and a Steiner School in Germany. This year Gift Culture is one of the themes of the Year Training. As part of this, we ask for an organisational fee of £1000 when you apply, and a further amount of your choosing at the end of each module, towards the sustainability of the trainers. More about fees. Ready to apply? Fill in the online application form. About the Training: What is Nonviolent Communication (NVC)? NVC was developed by Marshall Rosenberg over a period of forty years as a response to one simple yet powerful question: why do some people continue to act compassionately, even in deeply challenging situations? NVC is now being used by a worldwide network of trainers and practitioners in fields such as education, parenting, mediation, conflict resolution, psychotherapy, and social change. Further introduction to NVC. Understanding of the systems that you need to set up in order to build community. Skill-building in setting up the different systems. Developing your communication skills to improve relationships at home and work. Learning and support from fellow participants in an ongoing NVC community. Ideas and support to create the kind of world you want to live in. The modules of this training are open to people of all levels of NVC skill and experience, from complete newcomers to those already sharing NVC.